There are monsters, and then there are monsters. This particular one that we will concentrate on today would fall under the cute and cuddly category, where it might have bared all of its teeth, but the virtually small size of this $6.49 Monster Change Eating Coin Purse makes it all the more appealing. He hungers not for human flesh, or even brains like a zombie would, but rather, it would want to eat nothing else but coins. Yes, how many times have you amassed a huge amount of loose change in your home, simply because you refuse to walk out of the house with a pocket jangling full of coins? 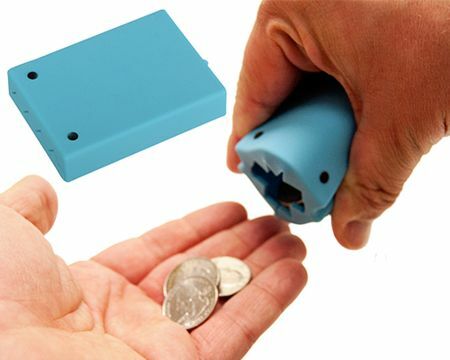 The Monster Change Eating Coin Purse will get the job done, and since it is made out of silicone, it can hold quite a fair amount of coins before it becomes “full”.